PFK readers will be sure to enjoy the latest release by aquatic explorer Heiko Bleher, says Jeremy Gay. 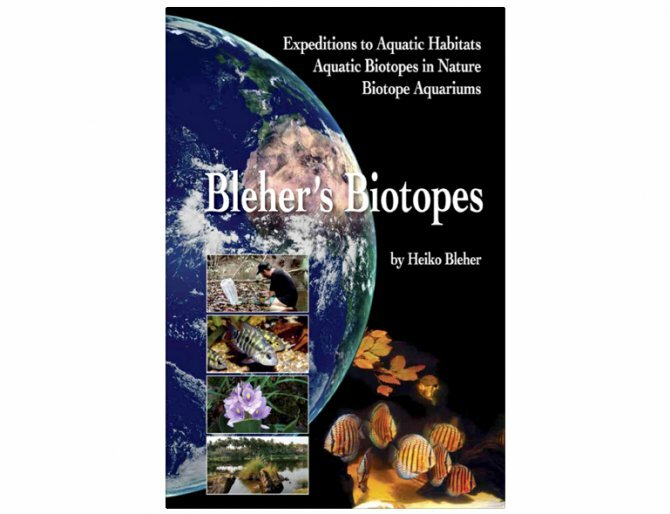 Over 900 expeditions, and over 50 years in the making, this 450-page plus hardback book details many of the aquatic habitats he has visited along with notes on the expeditions themselves, the biotopes in nature, and best of all, how to recreate them in the home aquarium. A kind of National Geographic, Baensch Photo Atlas 1-5 and PFK monthly tank set up all rolled into one, this book does what no other biotope book I’ve ever read can with its breadth of habitats, sheer number of biotopes, and the fact that Heiko has been to every single one himself — many of them several times — so all the information is first hand. It offers very detailed accounts of not only the fish which can be found there but also GPS readings, water parameters, decor, aquatic plantlife and invertebrates and even the terrestrial flora and fauna growing overhead. A biotope which is often quite cliched these days is the Congo biotope for example, and let’s face it, we’re probably getting it quite wrong as we all recycle information we’ve read over the years, but Heiko Bleher offers not one but three completely separate Congo biotopes, not to mention other African biotopes from Nigeria, Uganda and several from Mozambique. Jump continents and experience fish, habitats and biotopes from Australasia, Indonesia, Mexico, Nicaragua — even North America and Canada. And who wants to do generic “Amazon” or “South America” when you can really show off to those in the know with a Golden nugget biotope and other L-numbers from the Rio Iriri in Brazil! But don’t be put off if you want something simpler and just want to do right by your community fish. Did you know for instance that Hornwort is the biotope correct plant for your Boeseman’s rainbowfish tank, or simple Java fern for your Dwarf neon, Praecox rainbows? If you keep trops and you’re into accurate habitat representation this is the book for you, and if you’re not, it’s the perfect gift for someone who is. I’d be hoarding one if I worked in a public aquarium too, as all the research has been done for you and all you need to do is secure some budget, go forth and create. Price: €89.00 (approximately £63) plus postage.